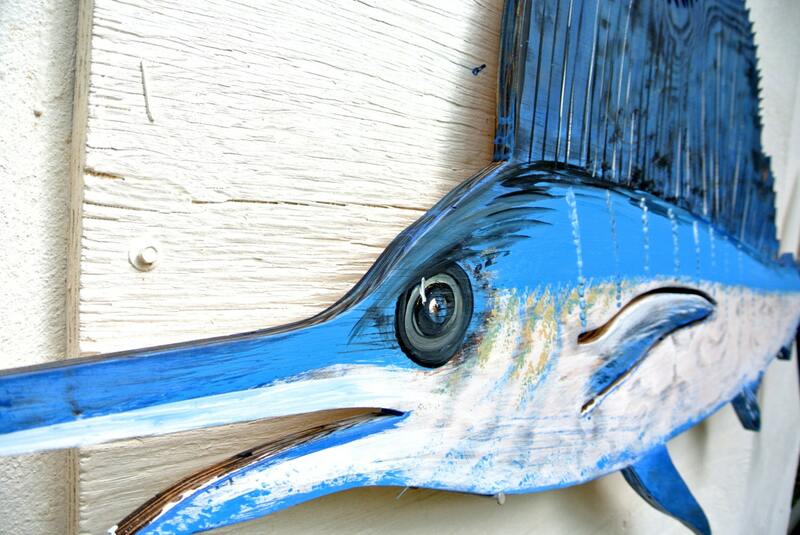 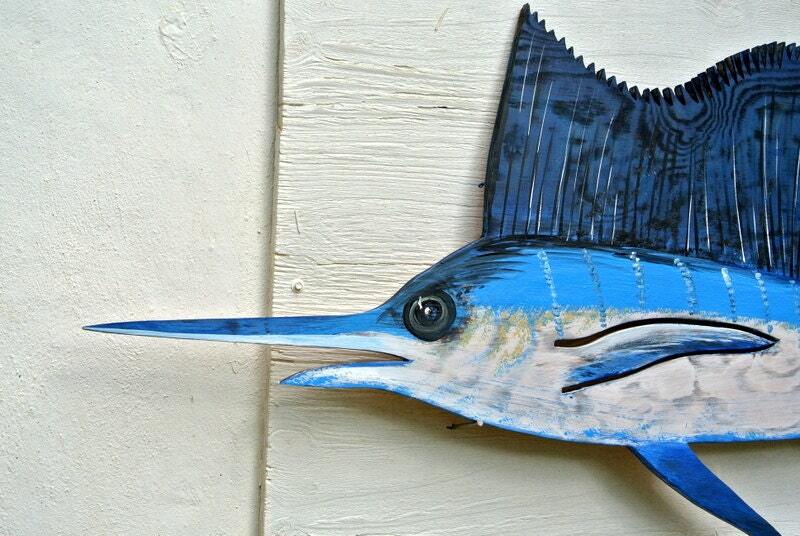 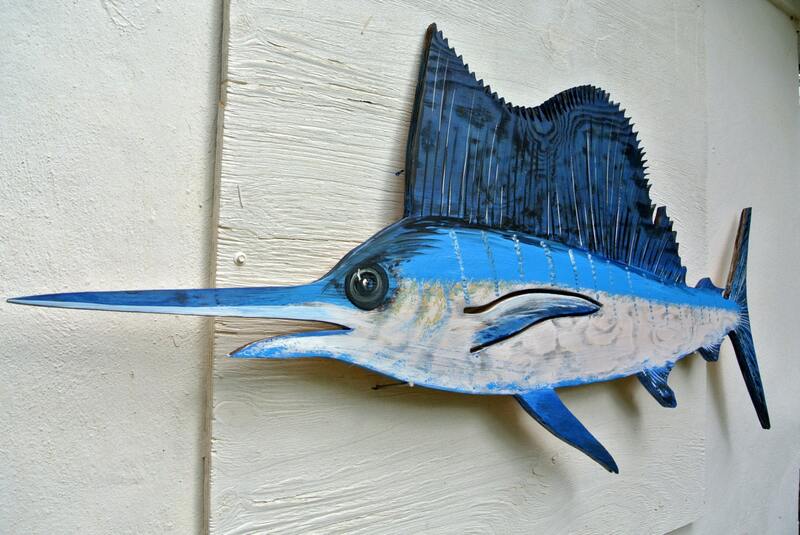 Sailfish Blue Marlin wood sign is designed as a perfect addition to your patio, beach house or porch decor. 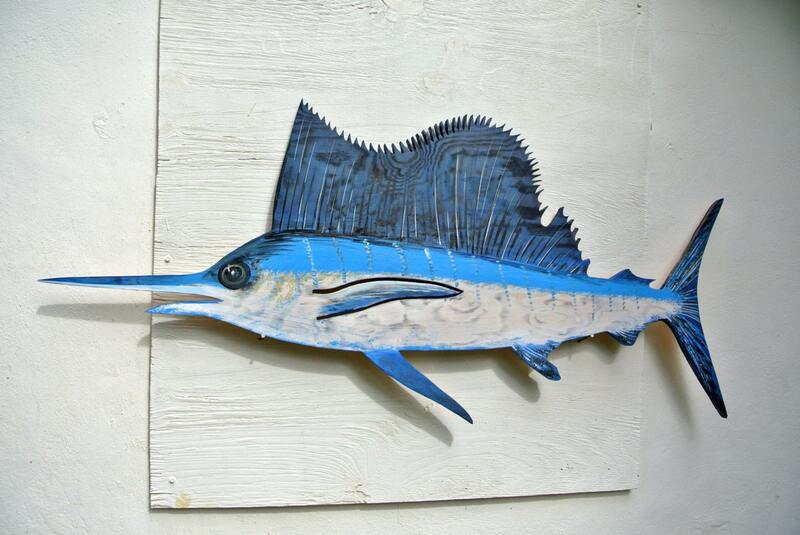 This piece of cut wood can be a great gift to the fellow who likes fish or fishing. 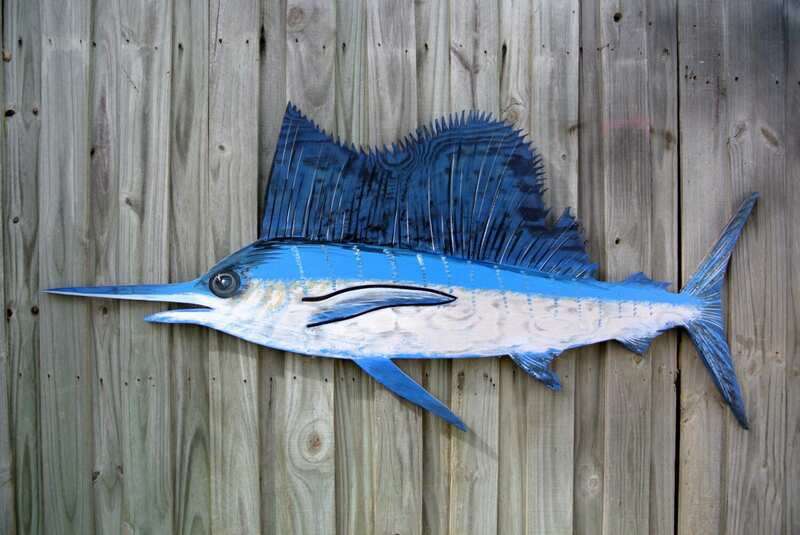 It's a nice housewarming, birthday or attention present for a friend fisherman or it could be a Logo Sign for seafood restaurant, bar or cafe.